For an an unforgettable evening of romance and sensuality, feast on an entire package of delights, combined with unique authentic Japanese Accommodation in the Dandenong Ranges. Your couples escape begins with a bed adorned with rose petals and welcome drinks. Unwind together in an outdoor timber hot tub on your own private deck. Next, indulge in a one hour massage or facial. 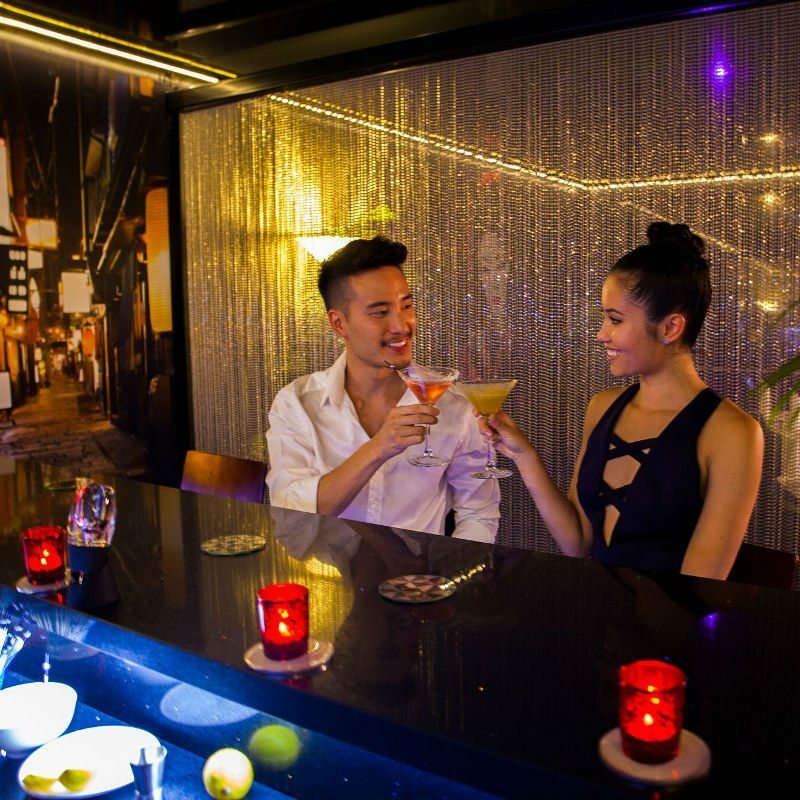 Enjoy pre dinner cocktails in our oriental lounge, prior to a sumptuous 3 course dinner. The following morning, feast on a two course a la carte breakfast. This was the perfect way to celebrate our anniversary.